EASEUS Partition Master 5.5.1 Professional Edition is all-in-one disk partitioning solution and disk management utility, which is one of the popular alternative to Partition Magic. EASEUS Partition Master 5.5.1 Pro includes all features and functionality that one expects from advanced Partition Manager disk management utility, plus valuable bonus Partition Recovery Wizard and Disk & Partition Copy Wizard. It also allows users to create bootable CD/DVD in case of system boot failure. Resize/Move partitions without data loss for better disk space management. Merge partitions into a bigger one. Split partition for different usages. Create multiple-partitions: one for system and others for data, etc. Delete partition and Wipe partition to destroy data. Rebuild MBR to boot system again. Permanently wipes sensitive data on disk by wiping disk. Drag & drop mouse to repartition easily in disk map. Support Windows 2000/XP/Vista/Windows 7 (Only 32 bit). Recover data from formatted partitions. 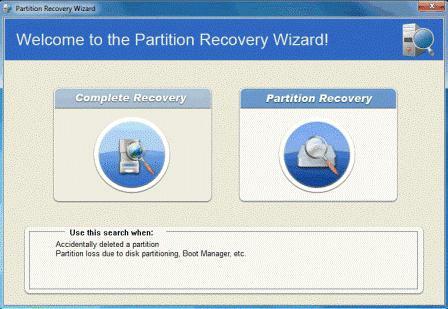 Recover data from deleted or lost partitions. Copy entire hard disk to another without Windows system reinstallation. EASEUS Partition Master 5.5.1 Professional Edition costs the price of $39.95 (aff) for a single license. From now until 11.59 PM, April 27th, 2010 (UTC+8), My Digital Life is having 3 days of exclusive giveaway for EASEUS Partition Master 5.5.1 Professional Edition. To grab a free copy of EASEUS Partition Master 5.5.1 Professional Edition, just download the following full version setup installer of EASEUS Partition Master 5.5.1 Professional Edition. Note: Link expired. The free license offer is exclusively for My Digital Life readers, please do not re-post the download links elsewhere. Unpack the archive, and run the EPMProSetup.exe to install full version product of EASEUS Partition Master 5.5.1 Professional Edition. No registration product key or serial code number is required. The product is automatically unlocked once installed. The program can be used for as long as you want – lifetime of your computer.